Be as brave as the RSS software, that trusts their feeds to come up with actual GUIDs. The Escher Cloud: Confusing, mind-bending, can&apos;t exist in real space, screws with your head. 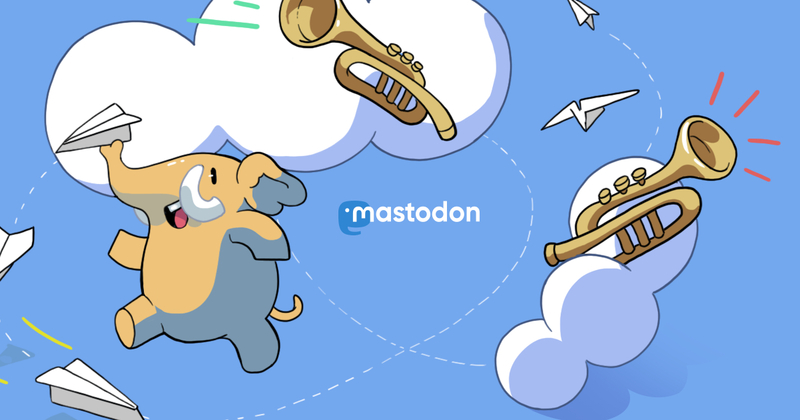 You can&apos;t take the TODO out of Mastodon. Das Engelsystem ist aktuell down -- wir brauchen ab 8 Uhr Engel für Bändchenkontrollen und Infodesk. Hm, scifi.fyi might be terminally down? Seems very unmaintained – I&apos;m a bit sad about that, I felt that my reading account was in a good place there. I might just start spamming y&apos;all here with my #amReading stuff. Or leave that over at Twitter, hmm. Wow, ein gefrorenes Fohlen aus der Eiszeit wurde in Sibirien gefunden. Krass gut erhalten, so inklusive Haar, Haut, innerer Organe – soweit, dass sie flüssiges Blut aus dem Herzgewebe extrahieren konnten. Jetzt wollen sie versuchen, es zu klonen. Der #eh19-Fahrplan sieht aber mal ausgezeichnet aus. Sehr viele schöne Dinge dabei. "Antibiotikaresistente Keime auf jedem zweiten Discounter-Hähnchen" – surprised: nobody. TIL about nextcloud&apos;s federation sharing, this is nice! Gene Wolfe died yesterday at the age of 87. He was mostly famous for his Book of the New Sun series, but was considered a brilliant authors for his other novels, too. At DjangoCon Europe, the brilliant Lily Ryan gave an equally brilliant talk on Victorian usage of arsenic and how it relates to privacy and data protection.